There was much speculation recently over the postings on the official release page. It appears that a few updates were released without the correct file names. We can now put all speculation to rest as Moonshell 2.00 Beta 12 has indeed been released. Please see the change log for more information. • DPGPlay: The pause was keeped though it sought while doing the pause. • System: The soft reset file for DSTT was made. • FileList: Stop and power supply OFF were able to do when it finished reproducing the playlist. • FileList: The bug that the last character of ID3TagV1 is lost was corrected. • TextReader: The position of a setting item was made flexible. • System: Deleted POffMEnd.txt on /misctools/Additional folder. 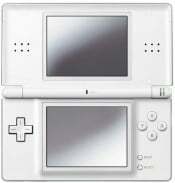 • System: The bug in which the backlight was not defined by old DS was corrected. • ScreenSaver: The idle time is revokable. • ScreenSaver: Not the clock but the backlight can be turned off. • ScreenSaver: The clock draws a day of the week. • SkinFile: Changed name to MP3Cnt_p4_shuffle.png from MP3Cnt_p4_random.png. • SkinFile: Changed Custom_BG.bmp size to 256x512pixels from 256x384pixels. • LanguageFile: SSC_ScreenSaverTimeOutSecTitle, SSC_ScreenSaverTimeOutSec10sec, SSC_ScreenSaverTimeOutSec30sec, SSC_ScreenSaverTimeOutSec60sec, SSC_ScreenSaverTimeOutSecOff implimented. • LanguageFile: Changed to FL_Popup_PlayMode_Shuffle from FL_Popup_PlayMode_Random. • LanguageFile: CS_PlayListEndTitle, CS_PlayListEndLoop, CS_PlayListEndStop, CS_PlayListEndPowerOff added. • SkinFile: SCN_WeekStr.png, SCD_WeekStr.png, SCE_WeekStr.png added. id like to see that fixed really soon and enable cheats when running games through moonshell using ysmenu. When will it come out of beta?? Is there a English version yet? The method in my guide is only for YSMenu to work as a separate application to launch commercial games. None of the loaders were developed by either Yasu or Moonlight. So unfortunately, I don't see this happening anytime soon, not unless we see an interesting team-up or if they take note of the commercial loading thread. Let's put it this way - With 'other' software development you may have a company that employs several programmmers all working on a single piece of software & with the resources of having countless different combination of possible hardware to test it on - giving them the oppotunity of sorting out a majority of 'minor' bugs before it's released as a public 'Beta'. While with Moonshell you have just 1 person (with limited resources) trying to fix bugs as-&-when someone mentions it. have you tried the included language picker program? Just to add to what other said, I think even Moonlight is very aware that having 12 betas are unusual. This is currently posted on his site. QUOTEMoonShell will become the "stable version" because of the next update. Thank you for a lot of cooperation for a long time!!! Personally I'm just very happy that Moonlight didn't stop development at all as it looked a couple of months ago. You have to touch the very bottom of the touchscreen...this fades the touchscreen to black. Actually I was talking about Google itself and its beta's, lol. No one know the history in Google and its betas?